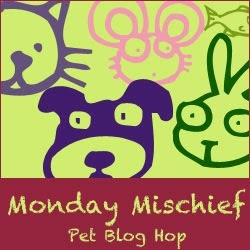 Another Monday and once again the mischief is all mine. I should have begun this giveaway last week, but time totally got away from me. Oh well. Better late than never, right? 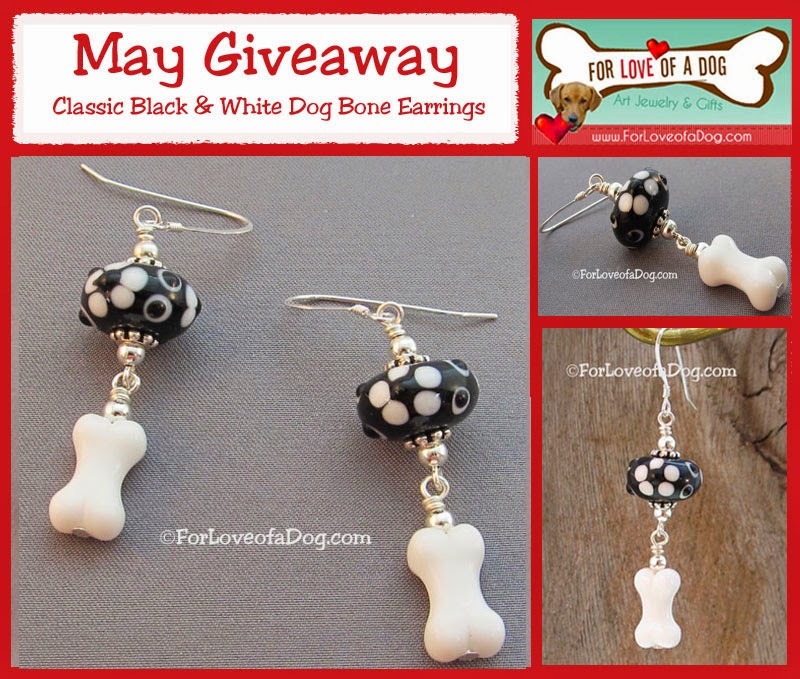 Enter to win these classic black and white lampwork dog bone earrings from For Love of a Dog Jewelry! White three dimensional dog bones freely dangle from hand crafted lampwork beads with a black base and white flower blossom with raised center stamens. All hand wire wrapped with silver jeweler's wire on sterling silver french hooks. There will be one (1) winner and they will receive the earrings shown above. This giveaway is open worldwide. However, those of you who live outside the US must agree to be responsible for all Customs/VAT fees. 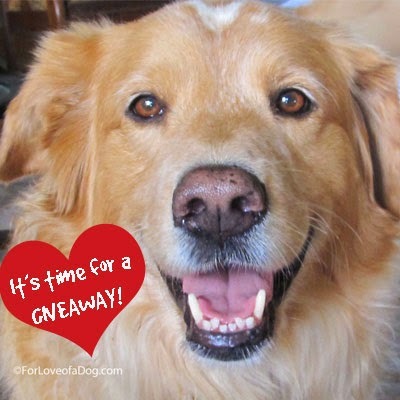 If you'd like to win these earrings - made by my own dog loving hands - just follow the directions in the rafflecopter below. Rafflecopter misbehaving? Sorry about that. It happens sometimes. Make sure you're looking at this individual blog post and then try refreshing the page. OR click on the linked phraise "a Rafflecopter giveaway" (just above this paragraph) and you'll be taken to the entry form. Foxy says those would be good with my white bones bracelet. Foxy is always right. my favorite pair is http://forloveofadog.com/item_401/Brown-Dog-Biscuit-Dangle-Earrings.htm because I love dangle earrings and it's so cute!! Great looking earrings - I'd enter, but don't wear earrings...oh well. I love the dog biscuit earrings. Every time you introduce a new bead to go with them I keep changing my mind about which ones I'd want. What a cool giveaway, they're so cute! Love those earrings. They are so cute. Sniffs from Laika and Vaks. Your jewelry is so beautiful. I can't choose just one favorite pair of earrings, so my favorite are the Woof Dog Bone Earrings Turquoise on Silver and Copper Angel Wings Earrings White Dog Bones. I think the first pair are just fun, adorable and I love the turquoise. The second pair is beautiful and would make for a sweet and pretty tribute to dogs who have passed, like my Lassie and Ella. I love the Paw Print Heart Earrings Rose Pink Crystal on Gold. They are gorgeous! They are all beautiful but those are my favorite. I love the rose pink crystal and the gold just goes beautifully with it. I love the paw print heart earrings, jet black crystal gold. They are simple yet elegant, I'd love to wear them on a night out! Those really are doggone cute! My faves are Paw Print Heart Earrings Crystal on Gold or the Jet Black and Gold. Love them!!!!! I of course love the lime green dog bone ones as I just love lime green. Thanks for the give away. My favorite earrings are the Cat Lover Earrings Silver Black Obsidian I love cats and the silver. I love dogs too I have 2 cats and 2 dogs. The lampwork earrings are wonderful...we love your work! I like the Paw Print Heart Earrings Amethyst Crystal on Gold because Amethyst is my birthstone! Your jewelry is always beautiful. Best of luck to everyone! I like the Dog Bone Earrings Blue Polka Dot Lampwork on Silver. I like the Paw Print Heart Earrings Amethyst Crystal on Gold. They're very pretty.